Her decision to scrap low-selling brands and thin the $53 bln carmaker’s bloated executive ranks was overdue. But cutting $6 bln of costs gives GM more fuel to weather trade wars and slowing sales – and to inject into the electric-vehicle and self-driving race Barra hopes to win. The General Motors assembly plant in Oshawa, Ontario, Canada November 26, 2018. General Motors on Nov. 26 said it plans to scrap some car models and cut its salaried workforce as part of its plan to reduce annual costs by $4.5 billion and capital expenditure by almost $1.5 billion a year. GM plans to double resources allocated to electric and autonomous vehicles by 2020. Under the plan, the company will cease North American production of the Chevrolet Cruze, Impala and Volt, the Cadillac CT6 and the Buick Lacrosse. The company will idle its Oshawa assembly plant in Canada as well as one in Detroit and another in Ohio in 2019. Two propulsion plants, in Maryland and Michigan, will also “be unallocated” to products, as GM puts it. 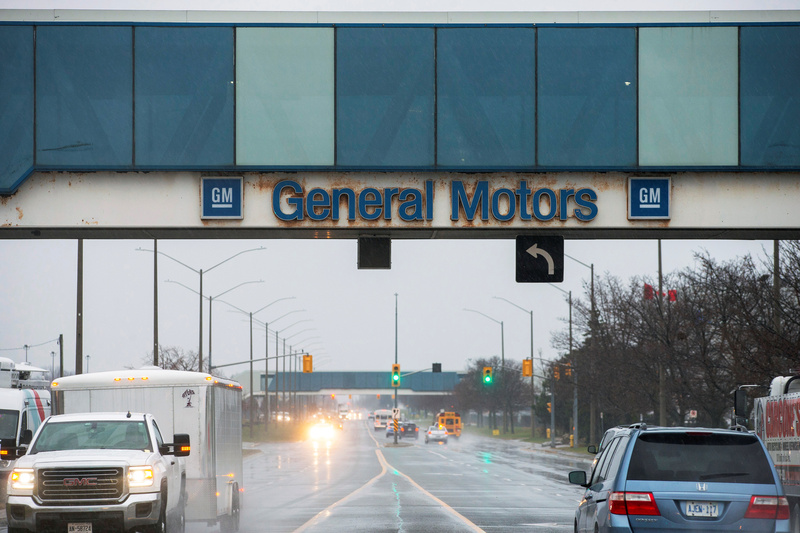 The move affects some 7,000 jobs and GM says their fate will be part of next year’s discussions with unions about a new four-year contract. GM also intends to lay off 15 percent of its salaried U.S. workforce, or around 8,000 employees, including 25 percent of executives; at the end of last month the company offered buyouts to 18,000 of its 50,000 salaried workers in the country. The company expects to take pre-tax charges of as much as $3.8 billion to cover asset writedowns, pension charges and layoff costs, mostly in the fourth quarter of 2018 and first quarter of 2019.